You are viewing articles tagged drinking. Mix in a cocktail shaker over ice. 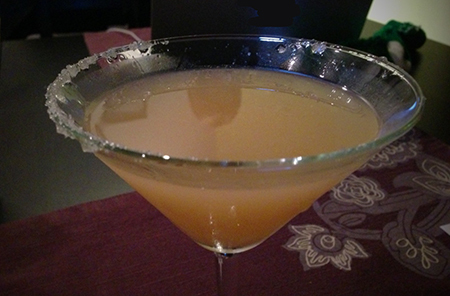 Shake the snot out of it and strain into chilled martini glass with a sugared rim. This is a cocktail that I whipped up for some friends over New Years’. We seem to be having an unseasonably hot January, and I’m recommending it just for that. I’m not usually big on the sugar rim, and I might skip it next time, but we were in a festive mood and it sure does add flair (when you manage a better job than I did for the one in the photo). I’m a snob about chilling glasses — I fill them with ice and water before I start mixing. But for this recipe, I bet martini glasses kept in the freezer would work fine. I’m tempted to try this with tequila substituted for the vodka, too. But the real power tip here is the St. Germain. You don’t have a bottle of this stuff in your house, and you need to. It’s traditionally mixed with champagne (because for some people straight champagne is just not decadent enough), but it shall to add flair to whatever you add it to. But also you’ll leave it out on your counter, and it will add general flair to your life. Seriously, the bottle looks like this. I don’t know how it is up there, but if I pull a Martini glass out of the freezer it’s going to have frost all over it when I serve the drink, and the stem and base are going to be wet and slippery. You might as well bust out those freezer frost-covered beer mugs like they love at divey Mexican restaurants (where everything is delicious except that one detail) and crappy poolside bars. For a drink as refined and presentation-oriented as a Martini, this is completely WRONG. And a 9,000 word Martini guide that gets this wrong … well, what else is he screwing up? For the record, here’s how you do it: start by filling your room temperature glass with ice. Add some water. 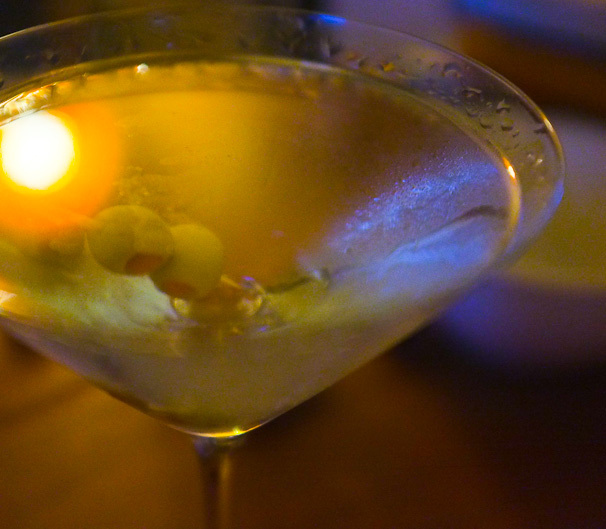 Then go about making your Martini (or Manhattan of Appletini or whatever). Dump the ice and water right before pouring, and wipe the rim of the glass if you need to. Now the part of the glass that holds the drink is cold, the part that you hold is room-temperature, and everybody’s happy. Anything else would be … uncivilized. 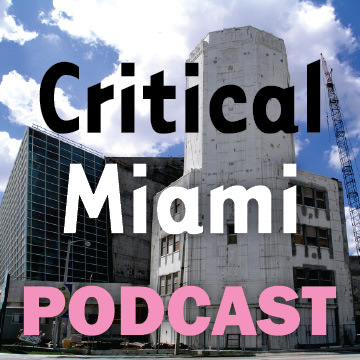 Steve and I talk about Key West, the Hollywood Community Redevelopment Agency, and the Great Southern Hotel. You can subscribe to this podcast in iTunes or download the mp3. 33 minutes: short! Sorry, I am just here playing with the NYTimes’ random Summer drink generator. Or as I like to call it, the tonight drink generator. 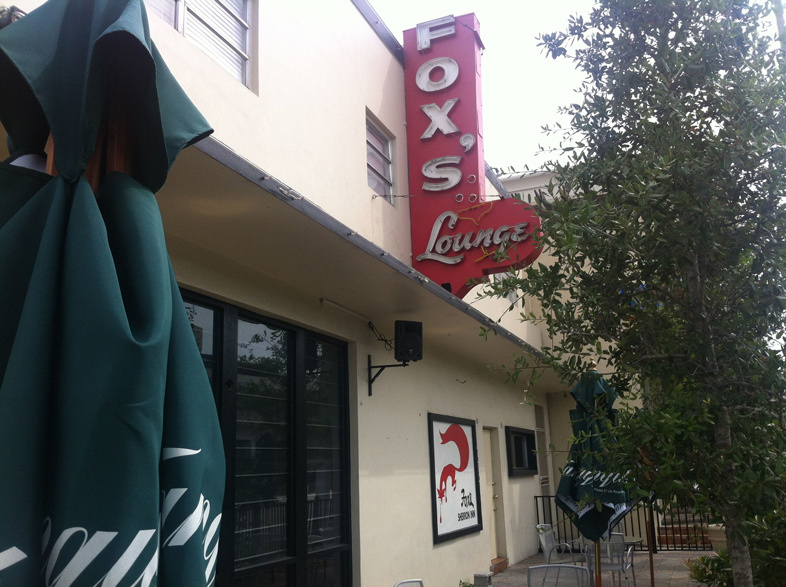 Can you believe I’ve lived in Miami for over 30 years and I’d never been to Fox’s Lounge until last weekend? 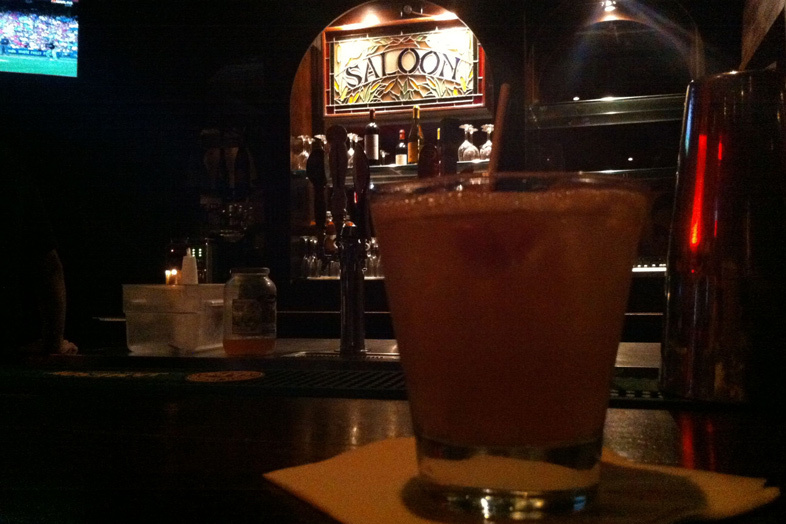 There’s a mystique that surrounds Fox’s that it’s hard to imagine a real place (a bar) living up to. Originally a pilot’s hangout in the 40’s, it’s sort of a Raymond Chandler/Charles Bukowski old-school bar, once classy, then sleazy, now mildly renovated and reformed, but yet to lose it’s original charm. I have been inside some dark bars, but when you first walk in Fox’s is dark. You find your way by feel (or memory) to one of the booths or barstools in the small first room. 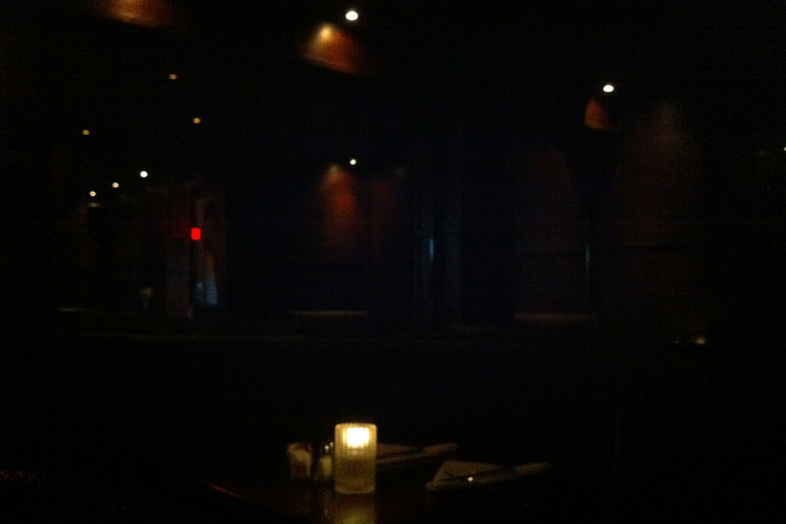 It turns out there are two other small rooms that are actually well lit. People come here to eat, and I hear the food is actually not bad. After awhile your eyes adjust and you get this. Much to my chagrin there is a TV set mounted to the wall, otherwise it is exactly as I would have it. There are a handful of beers on tap, but they seem out of place. This is a place for simple old-school cocktails. 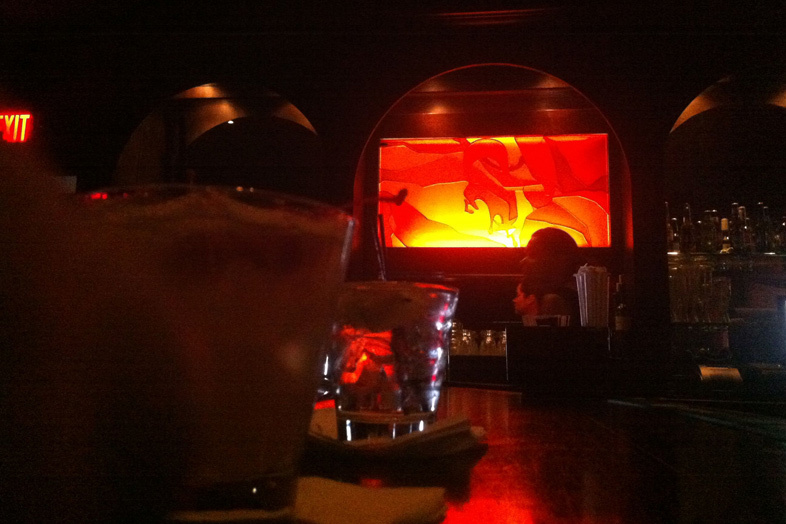 I had a whiskey sour (single-liquor drinks are two-for-one during happy hour), which was spot-the-hitting. On the wall is a stained-glass geometric red fox light. In the hallway is a free jukebox with 60’s music. Tellingly, the mirror in the bathroom is by the door, so you can come in, do your business, wash up, and never have to look at yourself. Anachronisms abound, like window outside around back where you can buy liquor. It’s the sort of thing that’d make a person want to blog about Miami. Better go before they turn it into a Starbucks or a CVS.